Finding savings for the commissary and exchange at Fort Meade in Maryland doesn’t have to be a hassle. 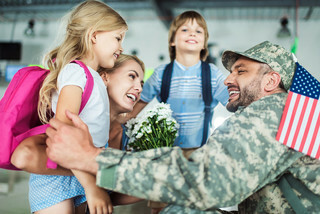 At MyMilitarySavings.com, we understand that the military life can be difficult enough without having to wade through dozens of different coupon sites just to save money on your shopping trips. That’s why we’ve taken it upon ourselves to gather the best deals we can find from a wide variety of sources, including the Army and Air Force Exchange Service (AAFES) and the Defense Commissary Agency (DeCA). We even provide helpful links to the DeCA website, where you can load valuable coupons onto your Rewards Card for fast and easy savings. We’ll also send weekly e-newsletters to you with links to the Price Connexion and Coupon Connexion so you can plan your trips to the commissary and exchange around all the latest deals before ever leaving home. And, with the “My Shopping List” tool, you can add items from all over our site to a digital shopping list that you can print out or bring with you to the exchange or commissary on your smartphone. To learn more about the savings we can provide for your shopping trips to the commissary and exchange at Fort Meade, MD, enroll for free at MyMilitarySavings.com today.